A member of the famed Texas Rangers, Daxton Chambers has dealt with more than his share of depravity. But the Lone Star Reaper takes evil to a whole new level, kidnapping and burying women alive. It's Dax's job to help keep San Antonio safe, but even with help from friends in various law enforcement agencies, the killer remains two steps ahead. 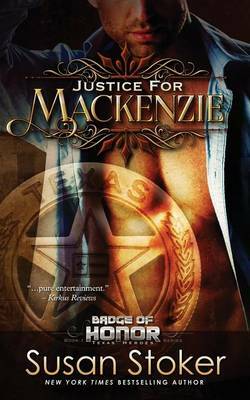 It's hardly the ideal time for a relationship, but Mackenzie Morgan is too luscious to resist. Dax wants her--which makes her an instant target for his newfound enemy. When the Reaper gets personal, it will take every ounce of Daxton's considerable skill and training to keep Mack alive.